Key Verse: Verse 1 – “O God, thou art my God; early will I seek thee: my soul thirsteth for thee, my flesh longeth for thee in a dry and thirsty land, where no water is;"
“O God, thou art my GOD; early will I seek Thee: my soul thirsteth for Thee, my flesh longeth for Thee in a dry and thirsty land, where no water is.” David had left Jerusalem on the Jericho Road. His journey took him through some of the wildest, most barren, and discouraging scenery in the world. He was deeply troubled by the infamy of his beloved Absalom, and by the treachery of Ahithophel. It broke his heart that the Hebrew people should have been so ungrateful for all the benefits his reign had brought them. But it was being driven away from the sanctuary of God that hurt him most. His whole soul thirsted for God. The desolate scenery which surrounded him only served to accent his thirst. 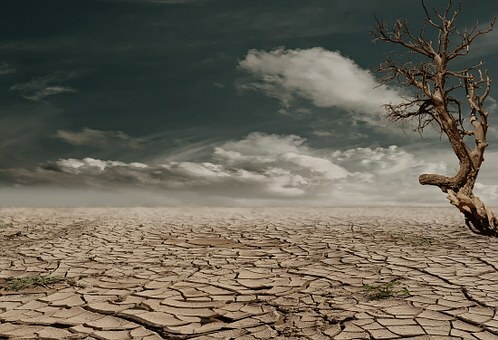 He describes it as “a dry and thirsty land” or, as some render it, “a dry and weary land.” Which, of course, is exactly what this world should be to us. If we haven’t found it so as yet, the day will come when we will. This world has many amusements, but it has few pleasures. Pleasure, as C.S. Lewis reminds us, is God’s invention. Satan has never been able to manufacture a single genuine lasting pleasure. We are driven back to God for the true enjoyment of life, and David knew that better than most. The word David uses for “longing” can be translated “fainting”---“My flesh fainteth for Thee.” The word occurs nowhere else. David’s craving after God was not just mental, emotional, or volitional, but an actual physical craving. It left him physically weak. This is what we each need today—the longing for God—if we are ever to experience revival in our own lives and in our churches. Dear God, may we long for you. ✞ Do you really long for God?